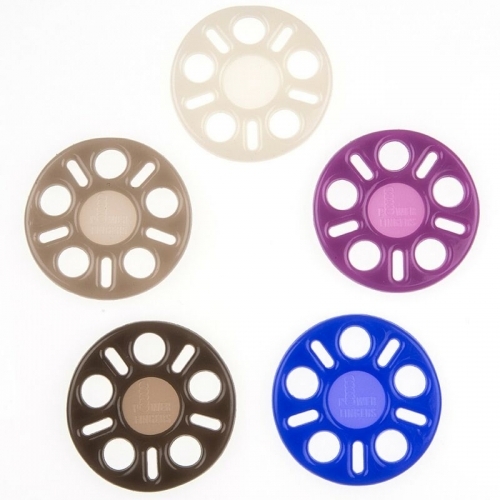 All PowerFingers come in a set of 5 color coded, patented rubber feel discs. Each disc color represents a different resistance. Lightest color, lightest resistance (Light Grey. To the darkest color, heaviest resistance (Dark purple). 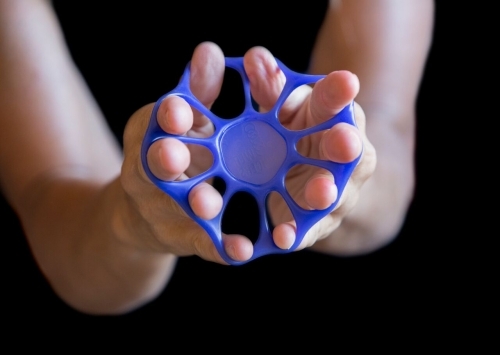 PowerFingers can be used individually or in multiples using our suggested exercises for the activity of your choice.